The world of wine is a very competitive environment. At the 2018 Prowein show in Germany, 3690 wine producers and 602 sparkling wine were competing for the attention of international wine buyers and media. This means hall upon hall of booths manned with winemakers and marketers trying to sell their wine. But what makes one wine brand better than the other? Sometimes wines are of exceptional quality but only a limited production is crafted with care and attention. Often these wines receive international acclaim and exceptional ratings by wine critics. Sometimes wines are widely available and well-known but because of the big volume production, the quality is neglected. In an ideal world, for a wine to be successful regardless of its style or origin, the quality needs to be consistent and the wine should be available. To consistently produce exceptional quality in bigger volumes is a challenge, but according to the international acclaim it received during 2018, it is a challenge the Leopard’s Leap winemaking team has conquered this year. 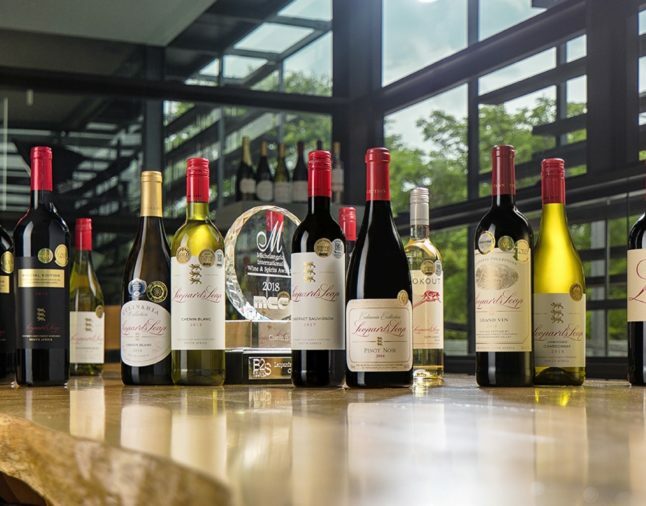 Other than the Best Value awards that Leopard’s Leap wines regularly receive for their value for money offering, it is the exceptional quality of the Leopard’s Leap wine portfolio that received acclaim during 2018. Leopard’s Leap wines are known for their versatility and they are the trusted choice for many when it comes to a relaxing glass after work, a partner to a special dish or a well-considered gift. With a host of accolades to add to its repertoire, Leopard’s Leap wines stays true to its vision of adding quality to life.